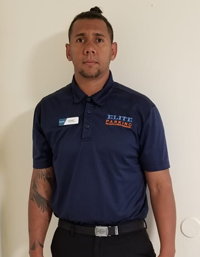 Elite Parking wants to congratulate Alex Rosa for receiving 2018 employee of the year. He has played an integral role in upholding Elite’s exceptional standards. 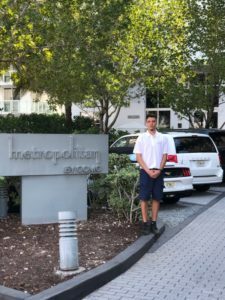 As the manager for the valet parking at Marea Condominium in Miami Beach’s South of fifth district. 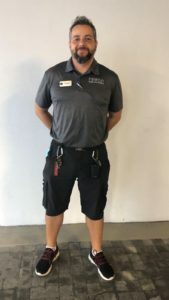 He oversees the valet needs of residents at Marea and maintains a great rapport with the properties management team and is dedicated to providing excellent service and going above and beyond for each guest. Those qualities led Elite to choose Rosa as the perfect nomination for this year’s highlighted employee. 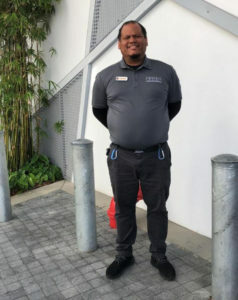 As a manager of Marea’s valet parking, he handles all areas including: overseeing the daily valet functions at the property; managing traffic and parking control; functions as a liaison between Elite and property management; assisting guests in their parking needs; hiring and training valet team members; and handling tickets and maintaining vehicle log sheet for the parking facility. 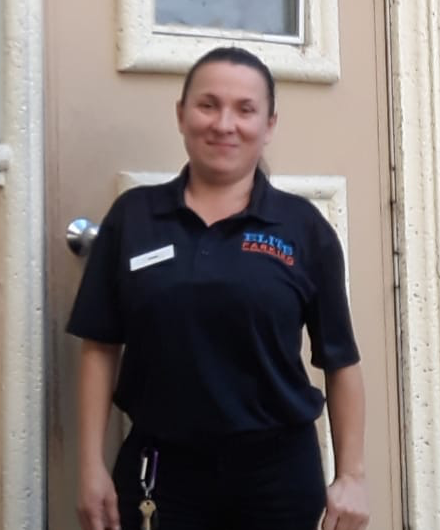 Rosa works daily to provide guests with “white glove service” and uphold the property’s exceptional standards. 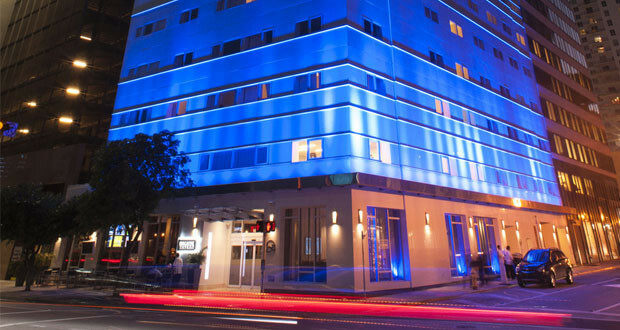 Elite Parking closes valet management deal with Hotel Yve Miami located on Biscayne Boulevard in the heart of downtown Miami. The hotel sits directly across the street from sprawling Bayfront Park and Bayside Marketplace and is within walking distance to attractions including; American Airlines Arena, Peréz Art Museum Miami and countless restaurants and nightlife. Yve also features a restaurant and bar at its lobby level called Biscayne Tavern. The trendy modern sports bar has a warm appearance with tufted leather chairs, hardwood accents and picture windows overlooking Biscayne Boulevard. The tavern draws additional guests who come to dine or socialize with friends. Downtown Miami is also centrally located and within a 15-minutes from other hotspots such as Brickell, South Beach, Wynwood and the Design District. 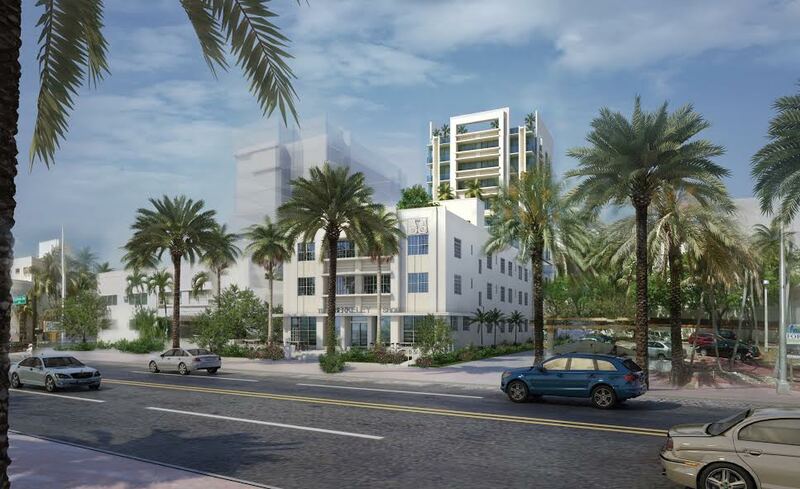 “Elite is excited to expand into the revitalized downtown Miami area. We look forward to servicing the Yve hotel guests and adhering to the highest standards of service,” said Managing Partner Ruben Perez-Sanchez. More than ever top talent is driving the transportation industry forward. That can prove to have some hiring challenges in today’s fast-paced market. Sometimes the demand for good talent is greater than the available supply in industries including parking and transportation. Top candidates are getting hired quickly, in as little as 10 days in some instances. A company’s recruitment process has to be relatively short or a competitor could hire that perfect candidate. According to Elite Parking Managing Partner Ruben Perez-Sanchez, this competitive market drives a fast pace in the recruiting process. “We try to streamline the hiring process as much as possible. If we have a good candidate that has the skill sets we need and great references, we want them on our team,” said Sanchez. Millennials are also making up a large portion of the new recruits, at almost 35 percent of the total in most workplaces. Companies who can understand what millennials value, such as making positive contributions to society, having a sense of purpose and tech-savviness, will stay ahead of their competitors when it comes to recruitment. Brand image is another major draw when it comes to the recruiting process. Getting brand awareness through press, word of mouth or on social media is key. A lack of brand awareness or weak social media presence can prevent companies recruiting the best candidates. Taking full advantage of websites, social media channels, and job networks can drive awareness and relay the message about a company’s work environment. Attracting top talent starts out with creating an excellent company culture. A company’s principles guide should be made known to all employees. These principles could be things such as “People first,” “Care like an Owner,” “Know What You Don’t Know,” and “Think Simple and Scale.” Try to get passionate about team bonding with company events and activities. It’s crucial that companies have a hiring process that is dedicated to finding candidates who are service-driven, creative problem solvers, and hard working. It takes both traditional and non-traditional methods to seek out these top candidates and keep them. Many times the transportation and tech industries haven’t really represented the communities they serve, but times are changing. “Communities that we serve are very diverse, so we need to make sure that our team can bring diverse ideas and experiences to the table. This helps our company partner with clients to solve the problems and meet the needs in their communities,” said Sanchez. When deciding whether to hire someone, it’s helpful to identify candidates that may have less traditional backgrounds; they are sometimes able to add the greatest value with creative problem-solving skills. Broadening recruitment initiatives to individuals from industries such as banking, non-profits, the military, technology, and other sectors, can benefit a company’s workforce with team members who offer performance and potential over experience. Lastly, it’s important to include individuals from various teams within an organization during the hiring process. They can provide exposure to many different roles, backgrounds and personalities that new teammates would encounter, and provide input into the hiring process.